Contents: 3 fringed crepe garlands in metallic cream, metallic silver and gold, or blush pink, peach and white. 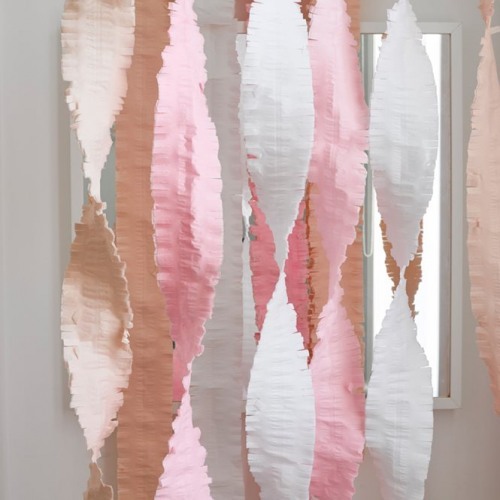 These oversized fringed metallic or blush streamers are such an ways way to add some shine to your wedding. Each garland includes fringe crepe in cream, silver, and gold, making it a perfect companion with a modern or art deco inspired wedding. Simply hang to create a stunning and unique look.